This section contains links to all CM Publications, Catalogs, Advertisments & Links. 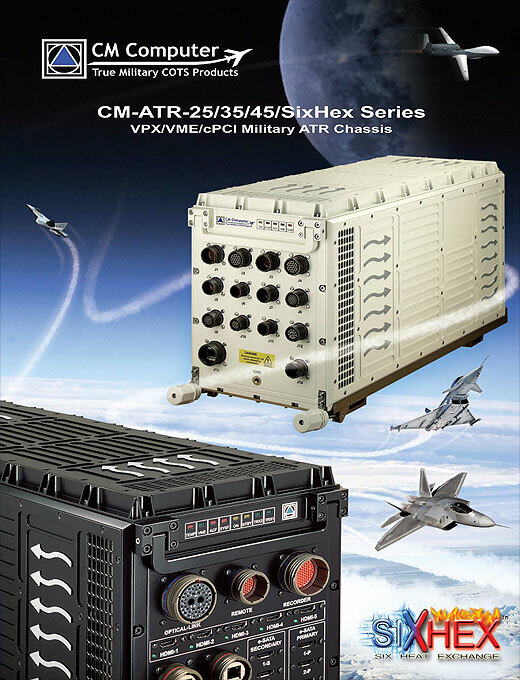 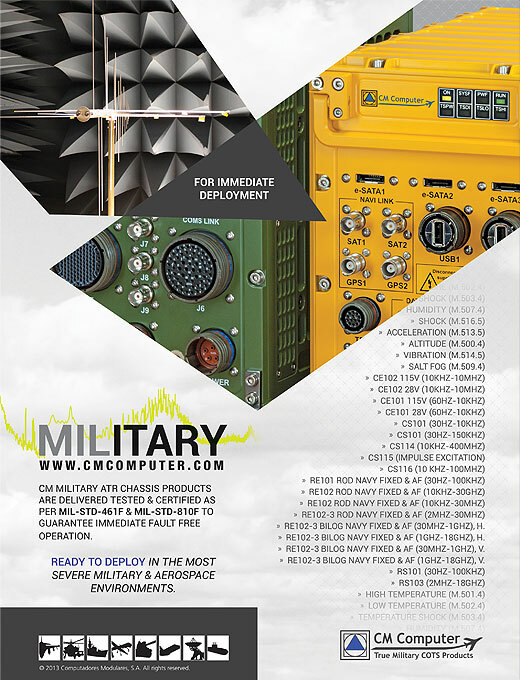 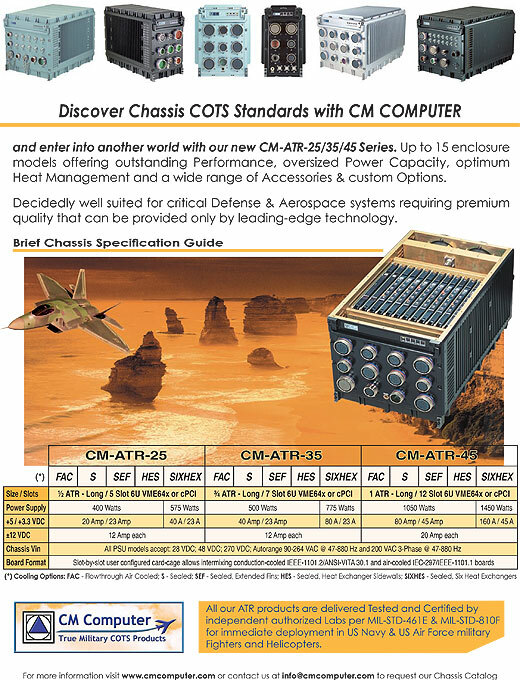 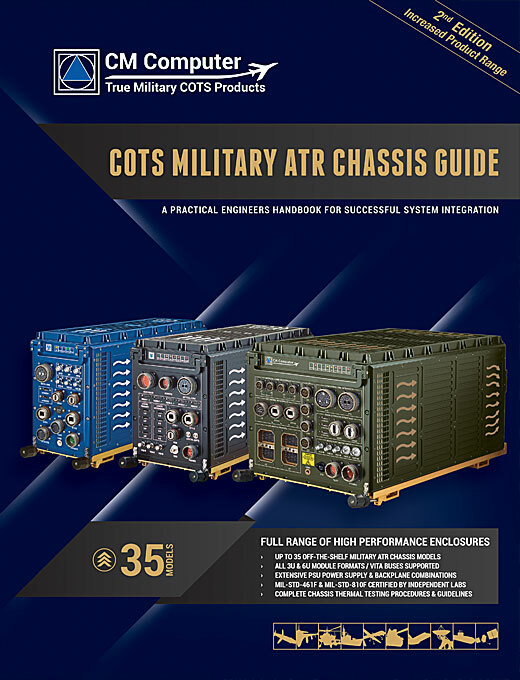 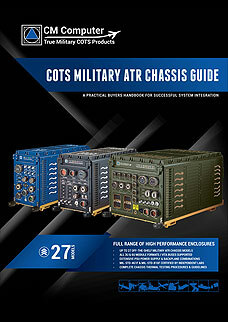 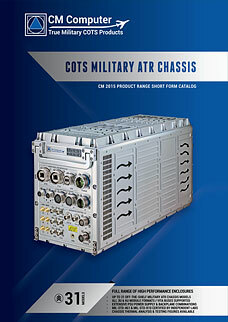 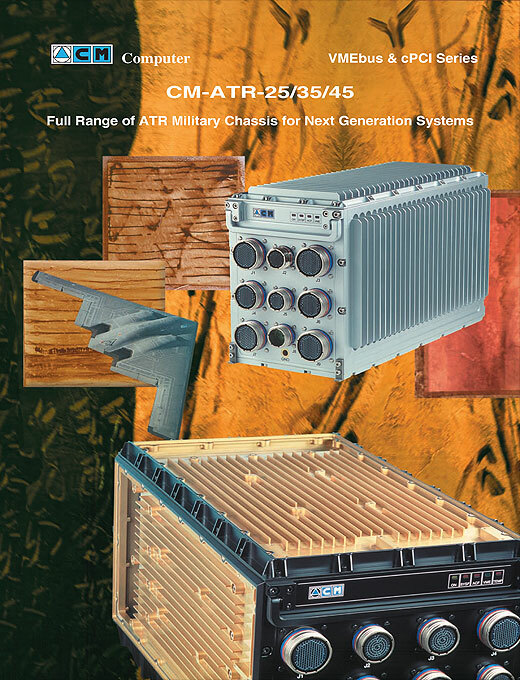 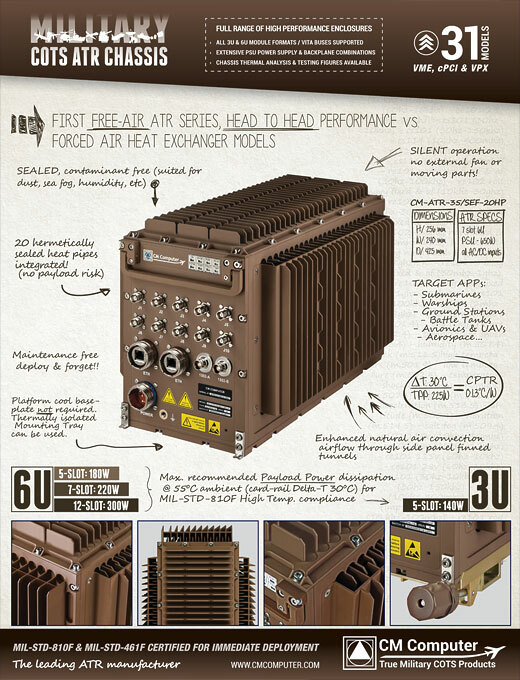 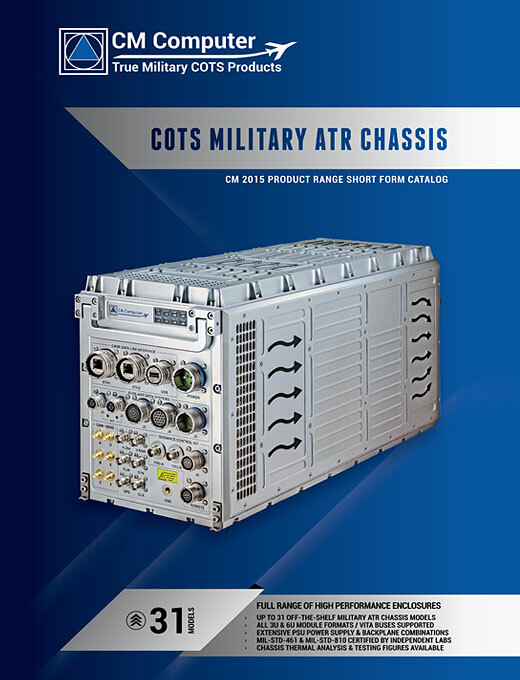 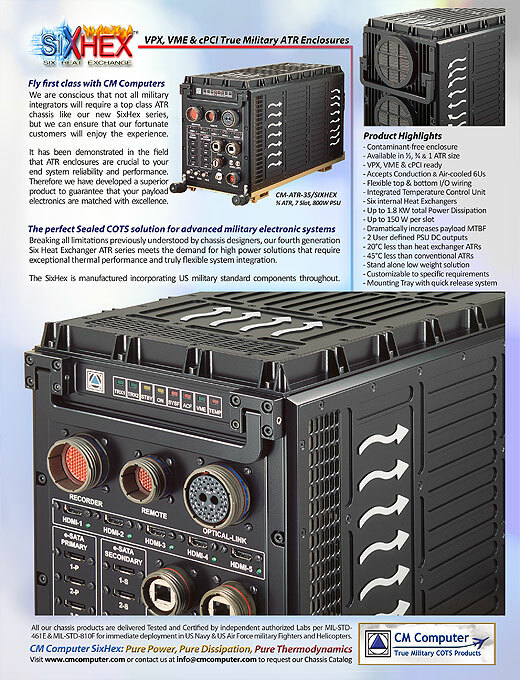 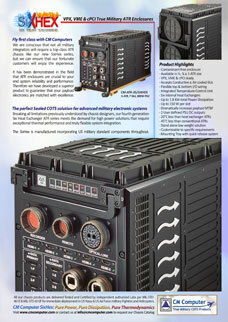 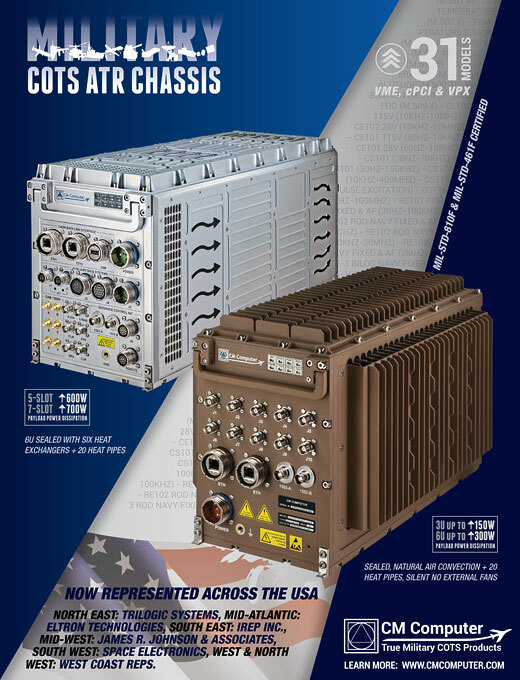 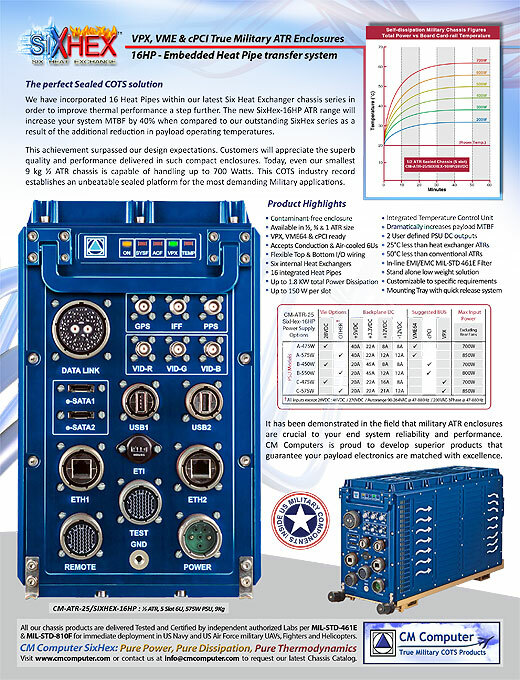 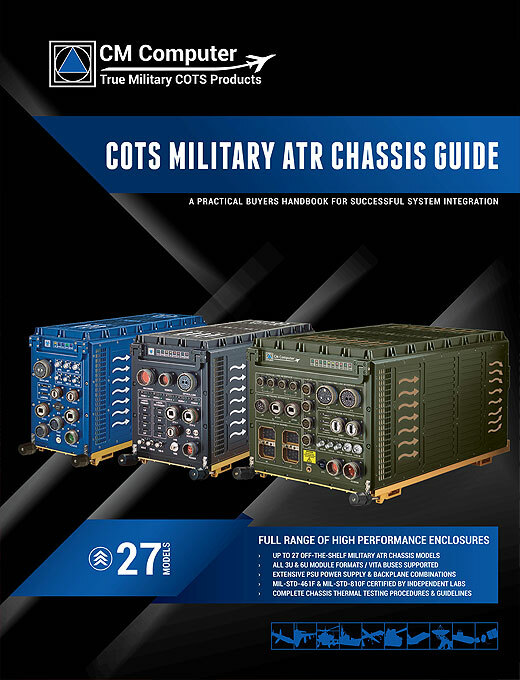 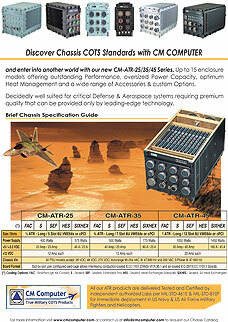 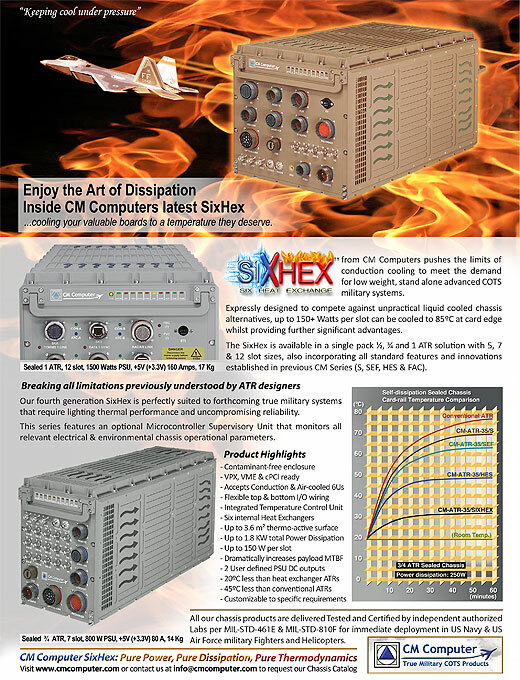 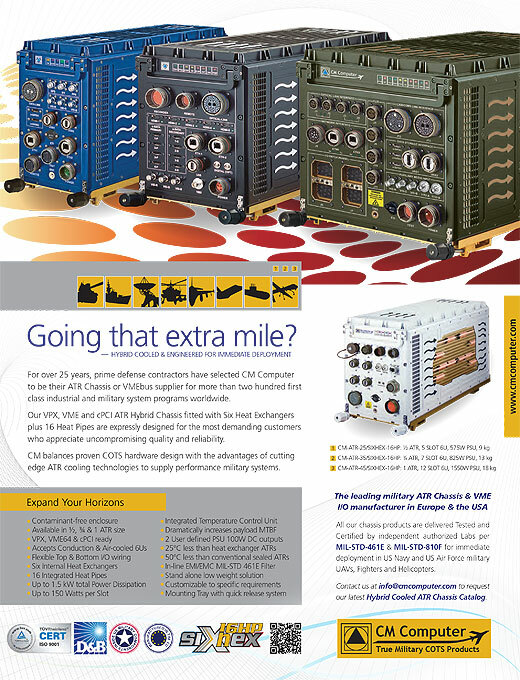 Military & Aerospace - Industry news, trends and resources realated to commercial off-the-shelf (COTS) equipment and components. 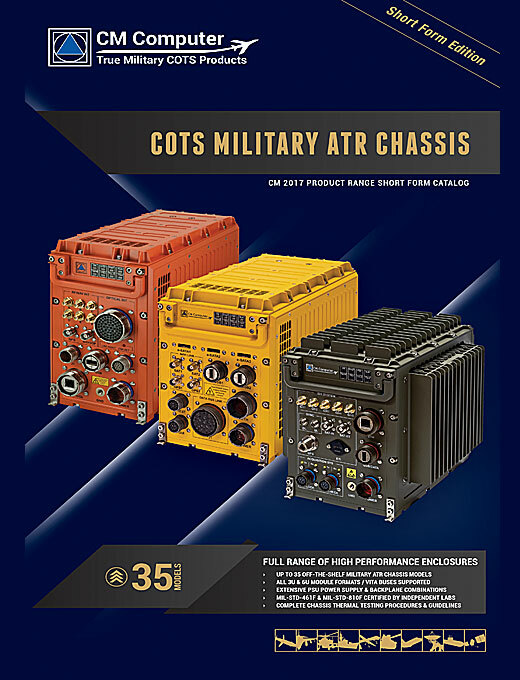 The COTS Journal provides coverage of embedded industry standards, applications and technologies that apply to the defense industry. 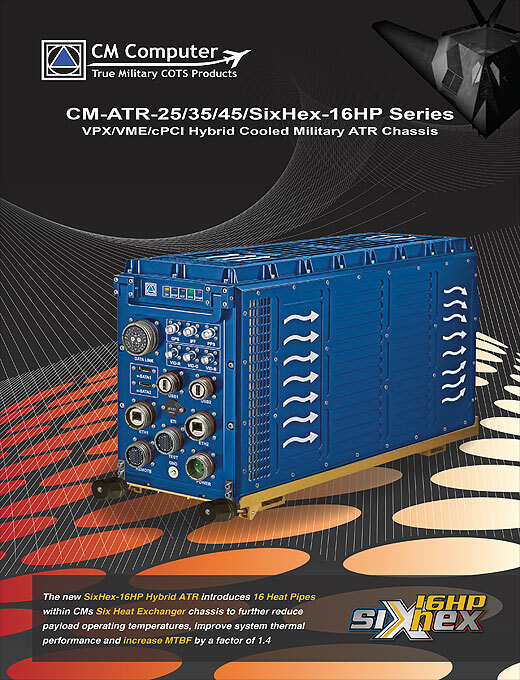 Wehr Technik is the leading international German defence magazine published by Mönch Publishing Group, sole focus on defence & defence technology. 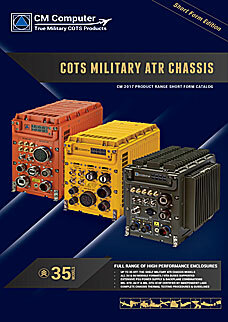 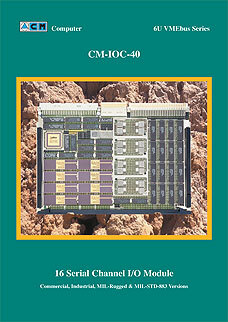 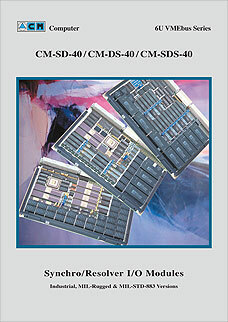 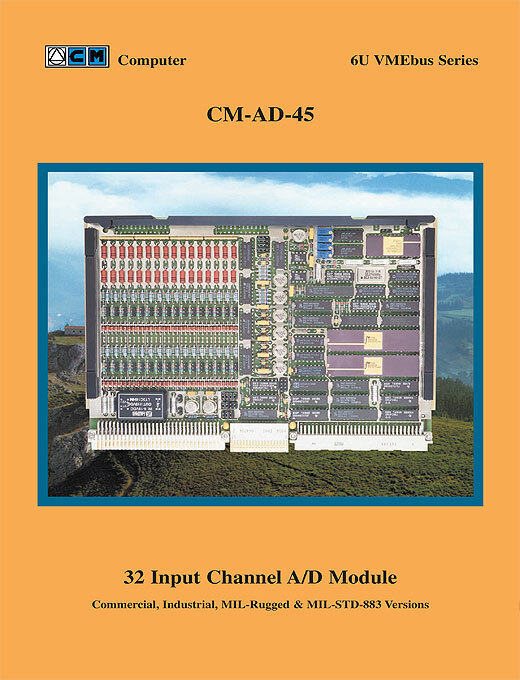 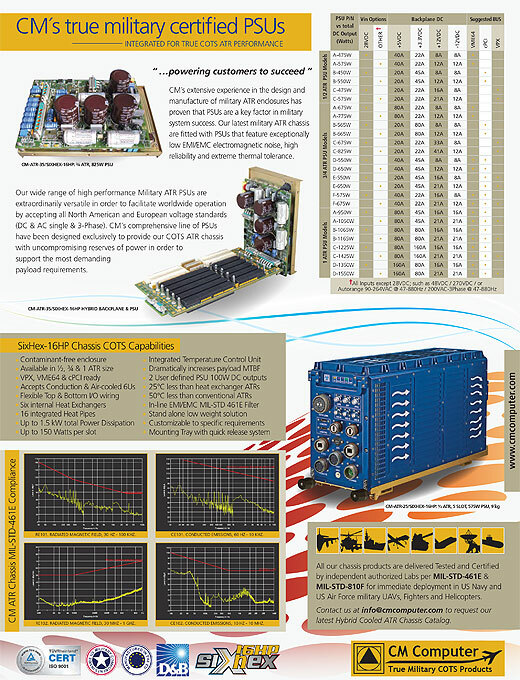 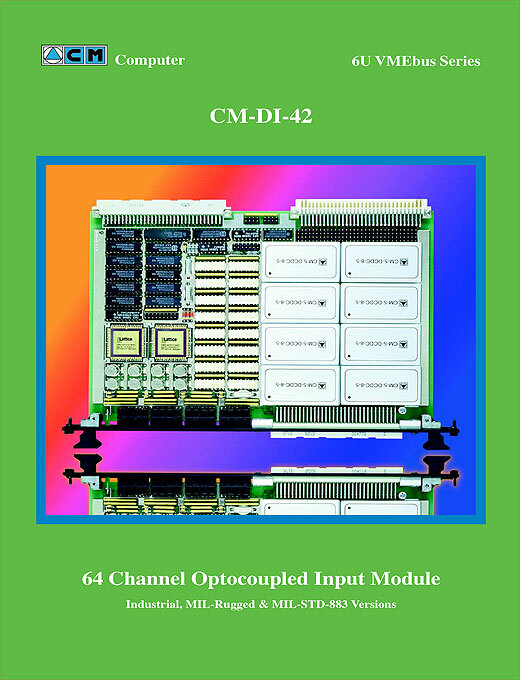 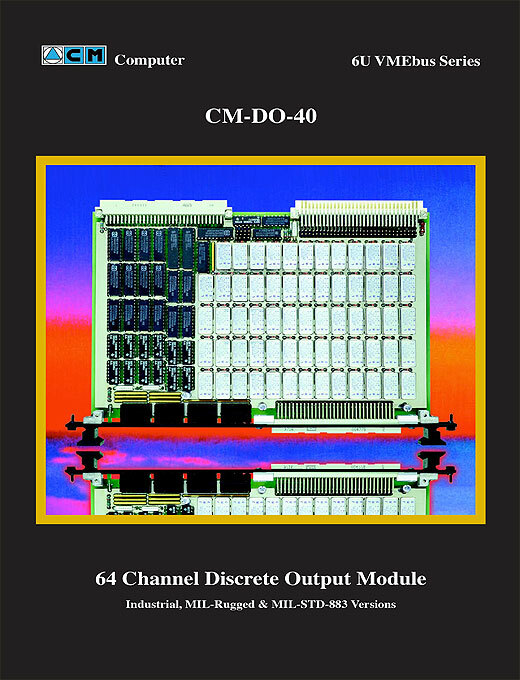 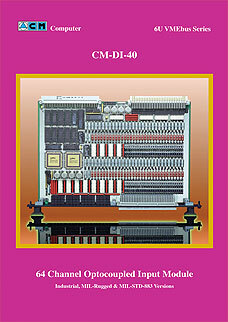 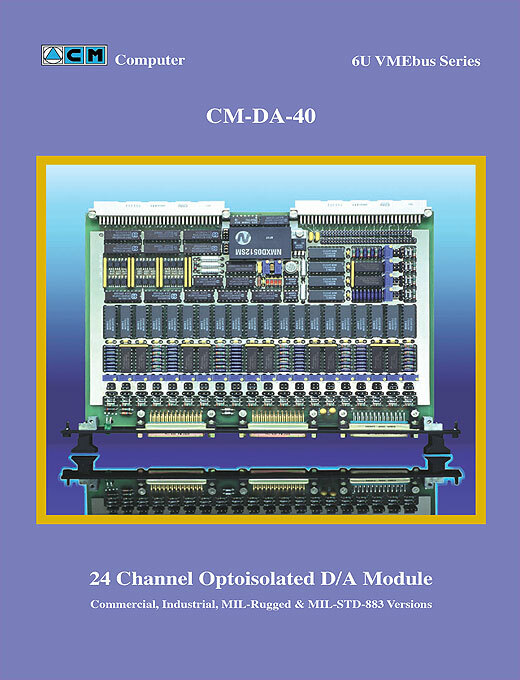 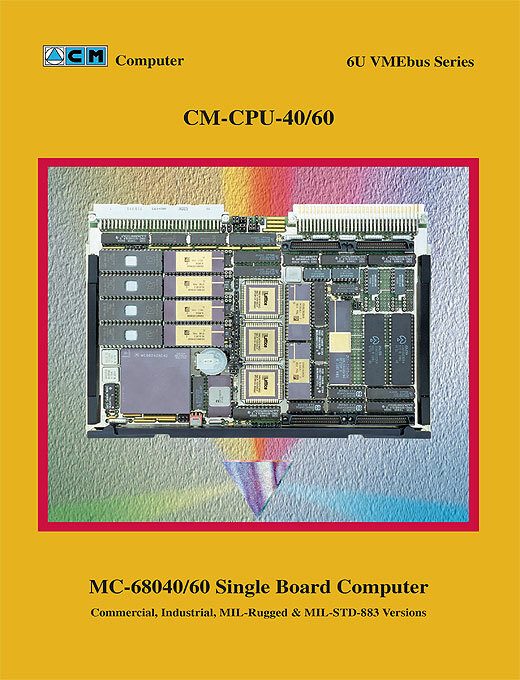 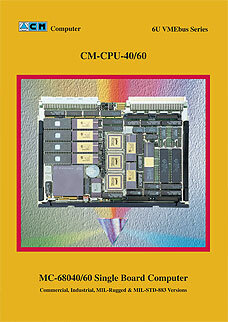 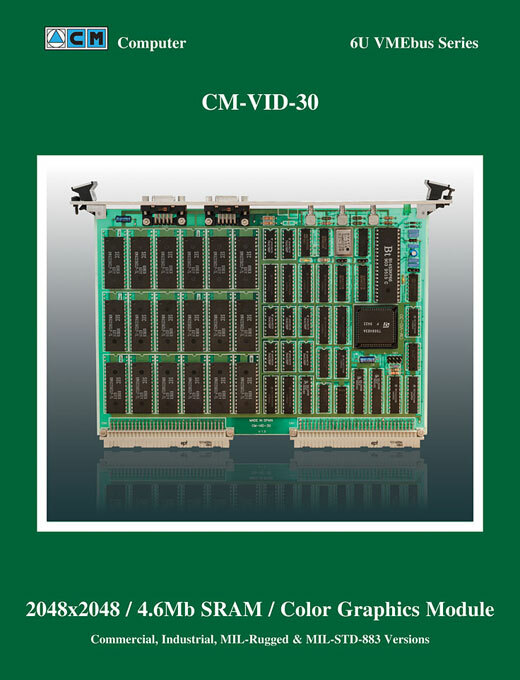 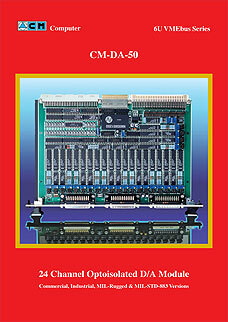 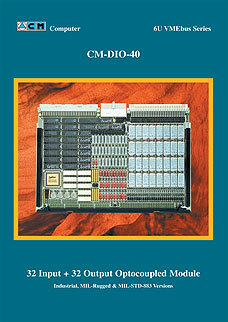 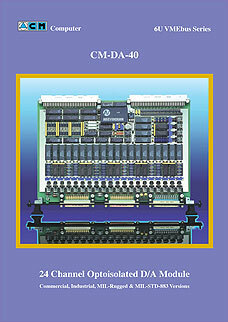 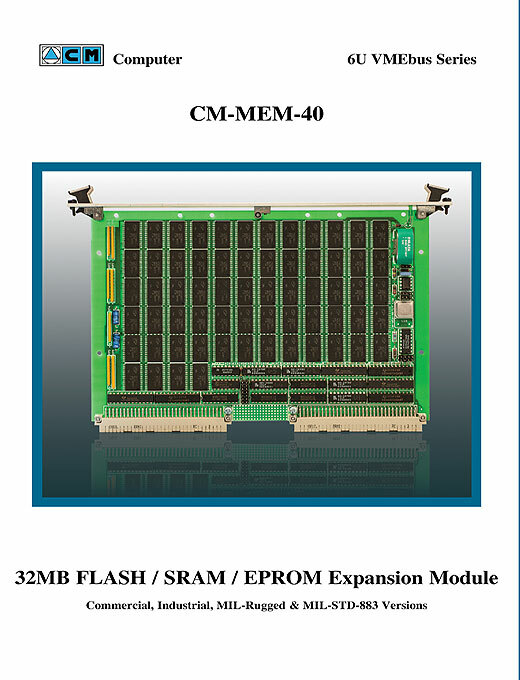 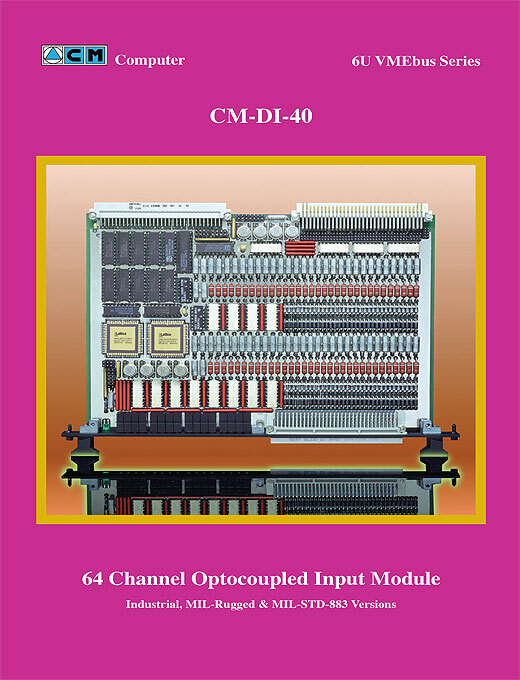 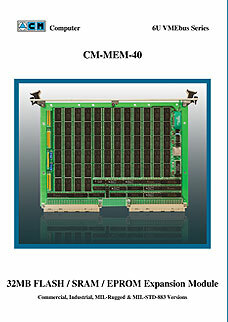 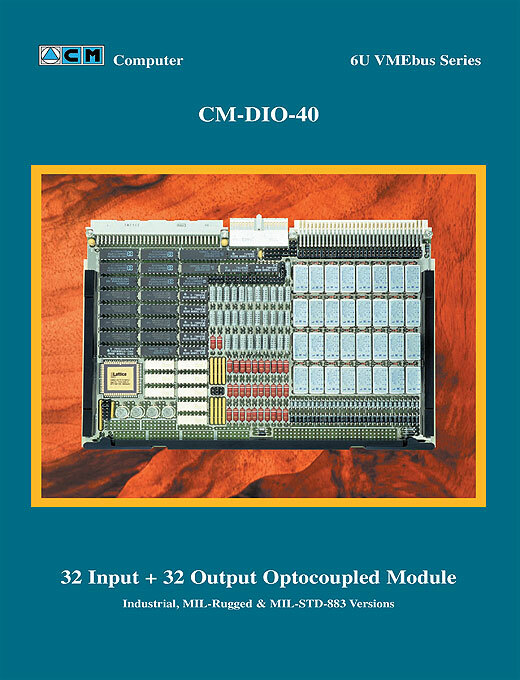 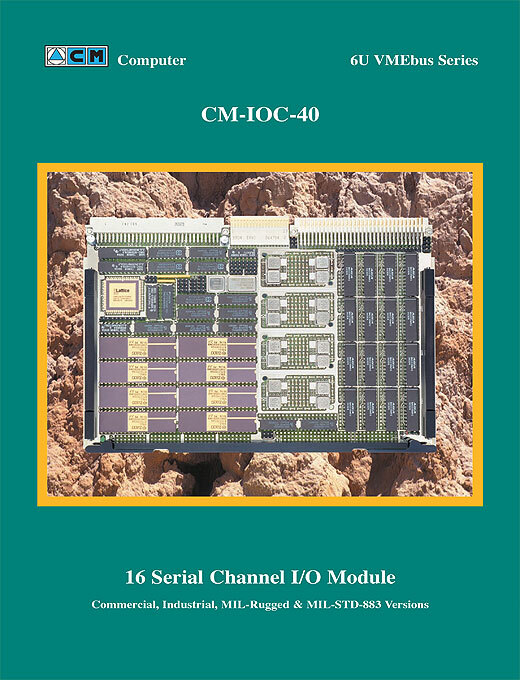 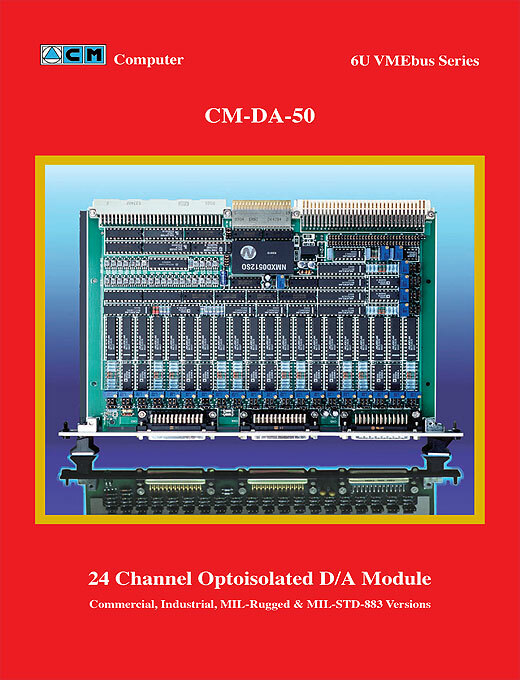 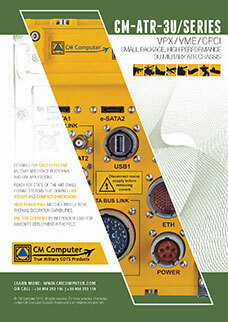 The Real Time COTS Magazine spotlights trends and breakthroughs in the design, development and technology of embedded computers. 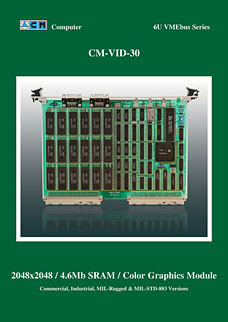 Premier publication dedicated to VITA activities, products and trends impacting the industry. 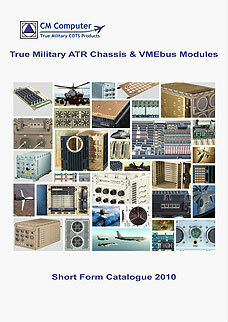 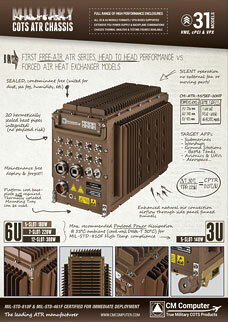 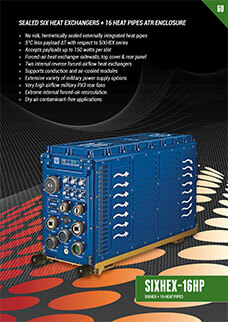 Military suppliers directory offering the latest military news, contracts, tenders & information. 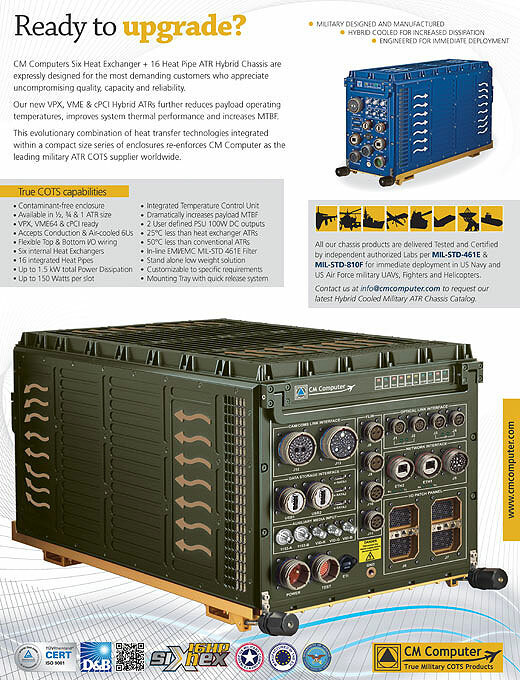 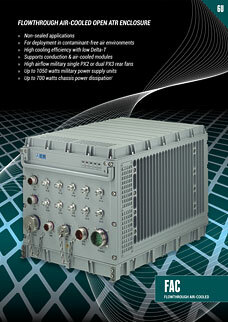 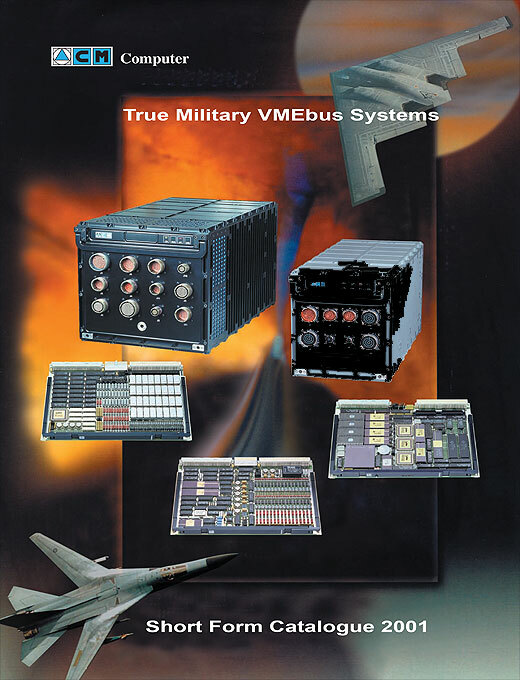 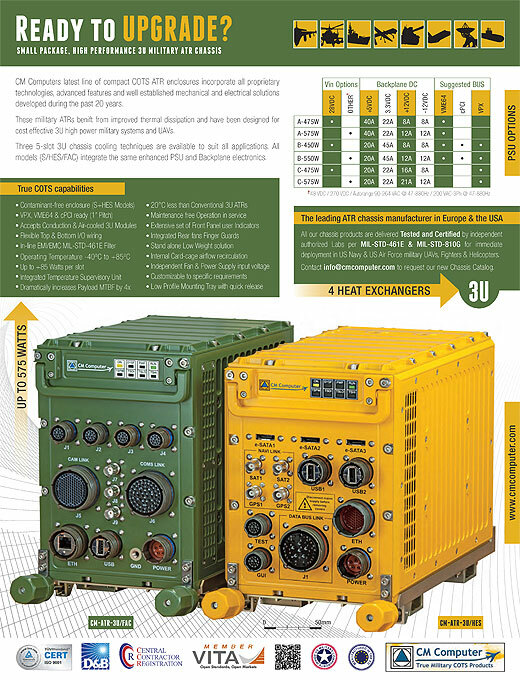 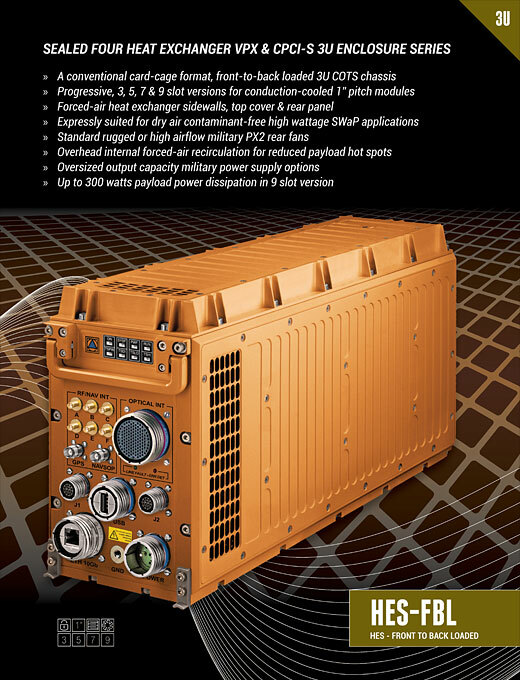 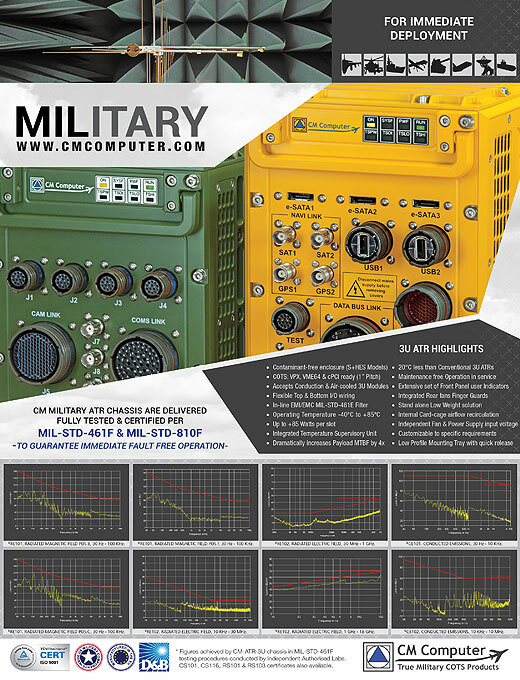 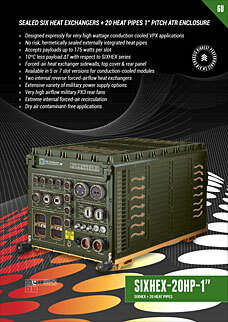 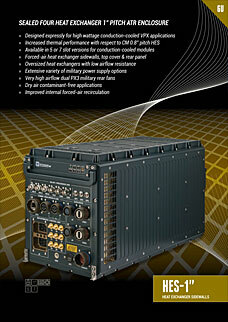 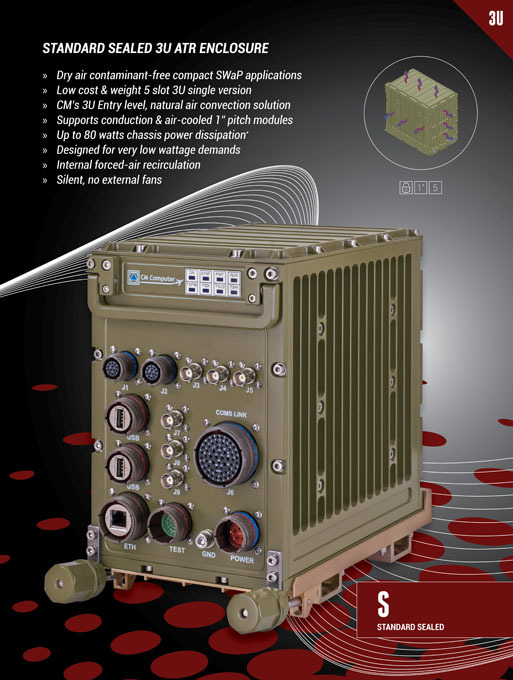 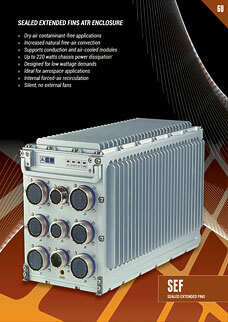 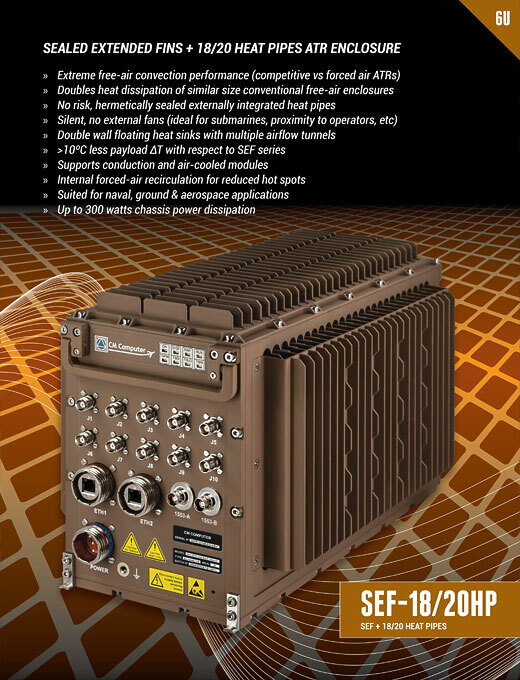 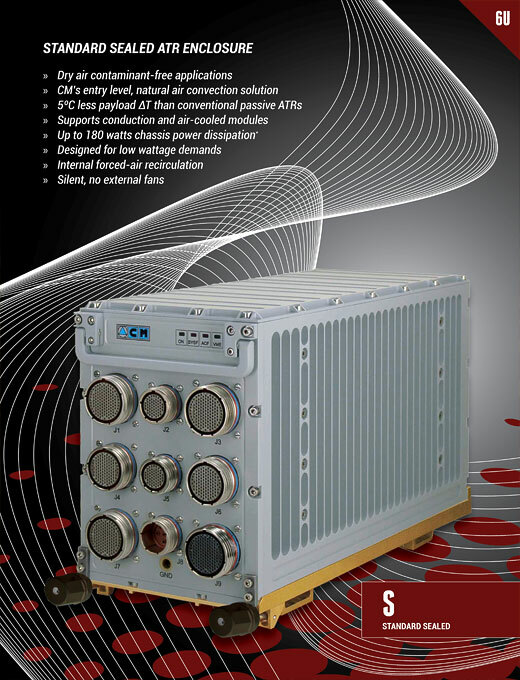 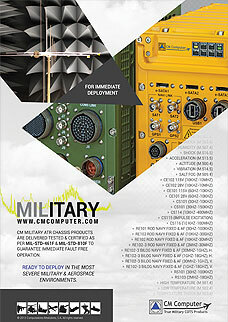 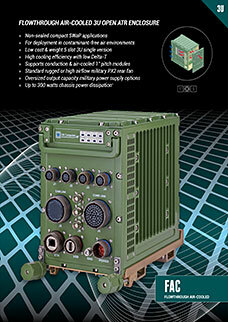 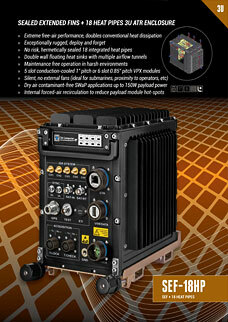 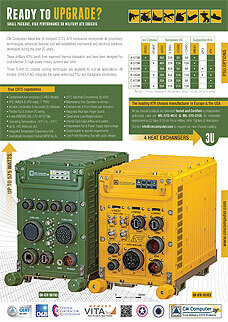 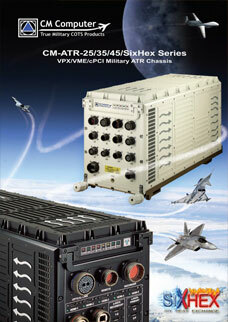 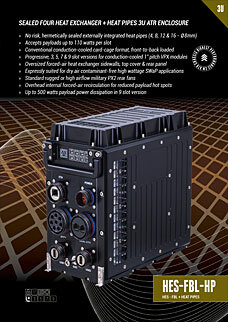 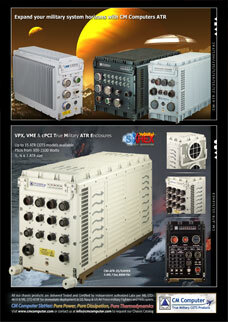 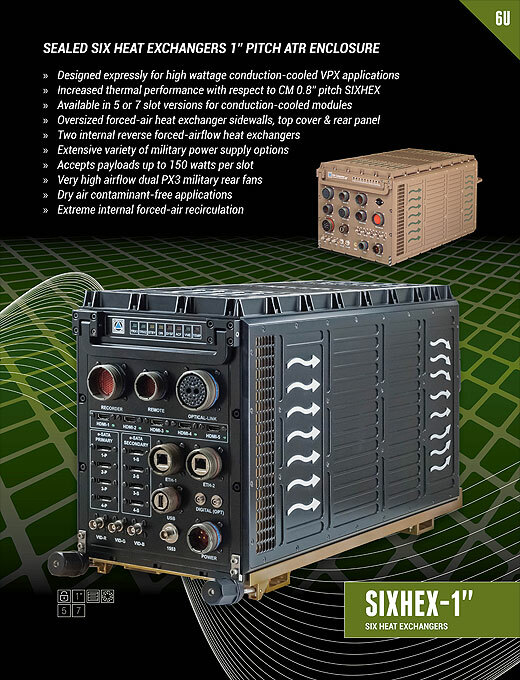 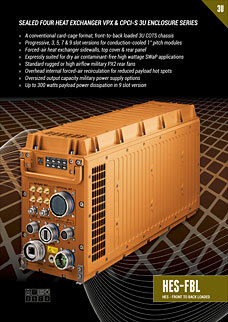 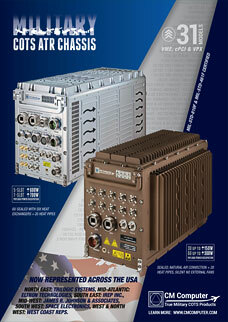 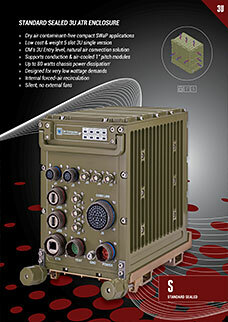 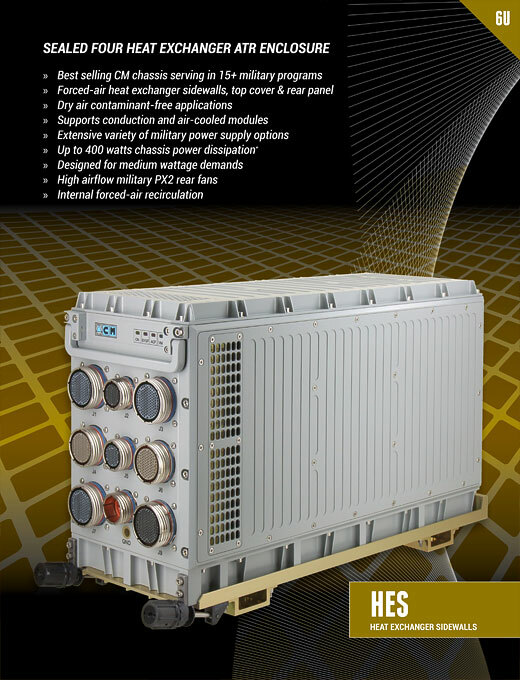 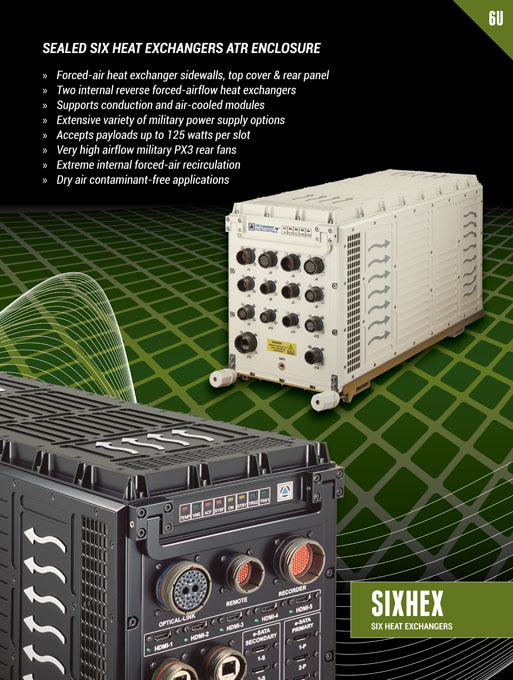 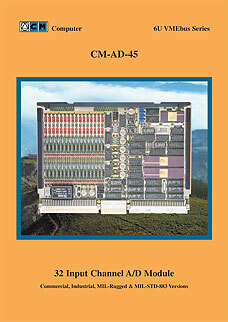 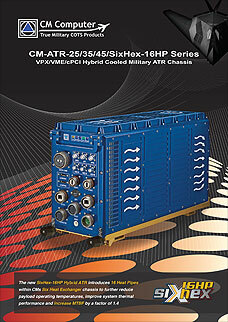 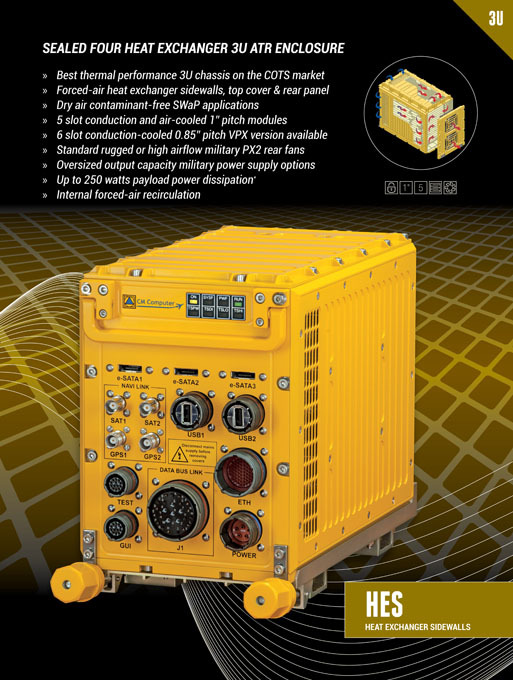 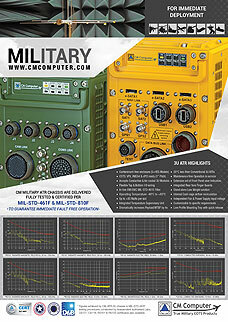 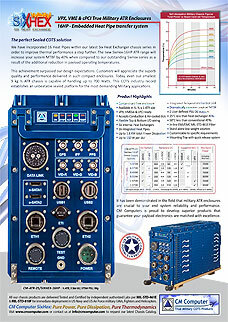 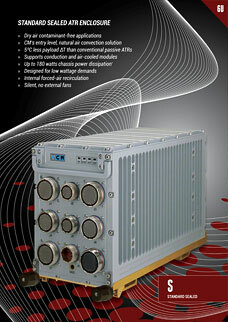 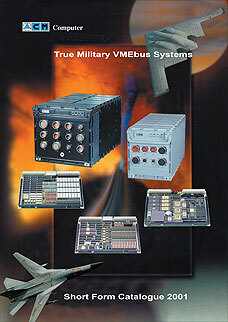 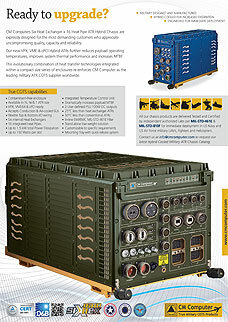 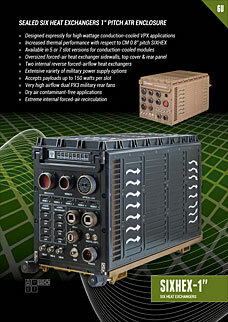 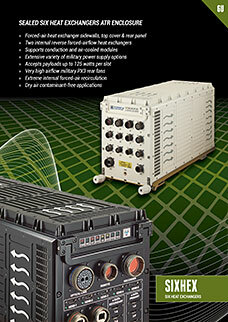 Military Embedded Systems focuses total military program life cycle & technical coverage. 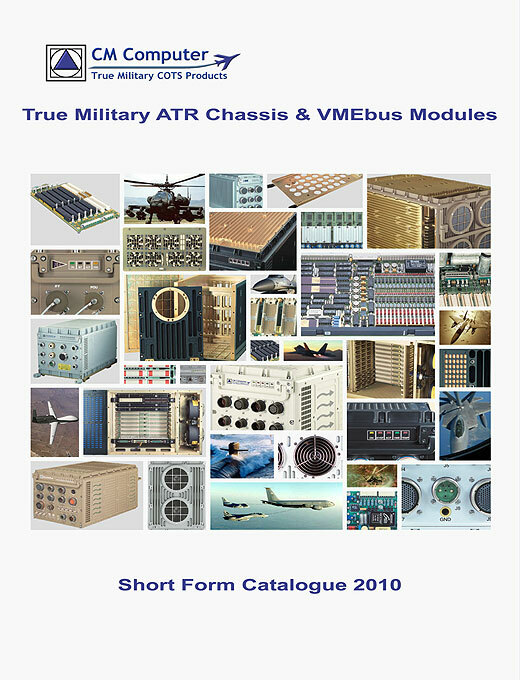 The world's largest in the field of professional defence, naval and aerospace publication.